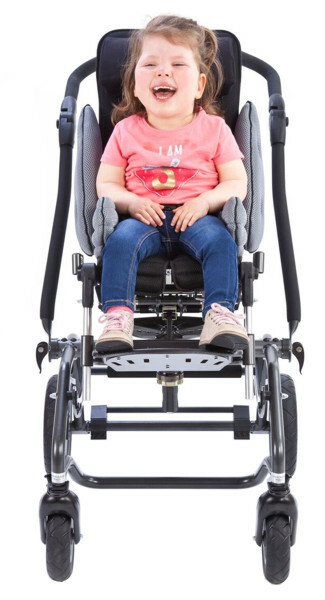 The Snappi Swirl is a revolutionary buggy from Tendercare; featuring an innovative rotating mechanism which enables the seat to rotate easily from forward (world-facing) to rearward (parent-facing), and vice versa, with your child still in the buggy. This allows for a smooth, stress-free transition for both parent and child whilst ensuring both your own and your child’s ever-changing needs are catered for. Children benefit hugely from interaction and engagement so having your child face you really enhances both bonding and development. In addition, rearward-facing pushchairs make monitoring certain health conditions much easier and safer. However, this isn’t to say there aren’t as many benefits from forward-facing buggies. Children are by nature highly curious and learn a lot from their surroundings and so really benefit from visual stimulation. Another key factor when deciding your buggy orientation is whether you need (or will need) to transport your child in a wheelchair-adapted vehicle as only forward-facing buggies can be transported in this manner. Helpfully, the simple rotating function of the Snappi Swirl means it’s no longer a case of either or; you can rotate the buggy as often as you like to fulfil the need at that moment. In addition to its rotating function, the Snappi Swirl offers a whole host of features and postural functions. Starting with tilt-in-space (i.e. when the entire seat moves whilst the back and the seat angle remain the same), the has a seat tilt between 0 and 41°. There are no fixed positions; rather, the occupant can be positioned at any angle within this 40° range. Furthermore, the Snappi Swirl’s full range of tilt is available both when the child is forward-facing and when they are in rearward. This means no compromise need be made between your child’s postural needs and your need to see them. In addition to tilt in space, the Snappi Swirl offer a range of back recline (again without fixed positions) of 90 – 140 °. If necessary, a dynamic backrest and footrest can be fitted; this allows the child to extend and push back against a relatively light resistance and then be able to recover into the desired seating position. The Snappi Swirl has been specially designed to offer an extensive range of growth; for example, it has a height adjustable backrest that offers up to 20cm of growth and a seat depth and hip width which are adjustable by up to 15.5cm and 12cm restectively. Its full range of growth can be seen on our technical page or by clicking here. As well as offering a high-level of growth, the Snappi Swirl comes as standard with our new pin lock brake design. This brake mechanism is not only quiet to operate but also allows for a comparably less strenuous movement to engage the brake. Height adjustable push handles are also fitted as standard to ensure both the comfort and convenience of the attendant. The Snappi Swirl uses only the highest quality wheels and castors. Special attention has been made to ensure the Swirl suits all of life’s eventualities. As such, the Swirl comes as standard with both swivelling and front locking castors. This means that if you decide to venture onto irregular surfaces, you simply activate the locking mechanism which will help prevent the wheels from spinning on these uneven surfaces. When done, simply deactivate to reengage the swivel movement and return to effortless, everyday manoeuvrability. Additional postural and everyday accessories are available for the Snappi Swirl to ensure each child’s individual needs are all catered for. Our full range of accessories can be viewed by clicking here. The Snappi Swirl (forward facing position only) has been crash tested according to ISO7176/19. Front and rear transit tie down brackets are fitted as standard. The Snappi Swirl is the subject of the United Kingdom patent application no. 1612187.3.